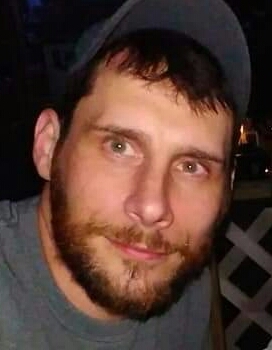 Obituary for Mark Jude Colasurdo | Harman Funeral Homes & Crematory Inc.
Mark Jude Colasurdo, 35, of Weatherly passed away Saturday, November 24, 2018 at his home. Born in Hazleton, February 28, 1983, he was the son of Janice (Grohol) Colasurdo and the late Rocco "Pinky" Colasurdo and spent the past year in Weatherly after moving from Drums. Mark worked in warehousing for Hudson Bay Company. He was preceded in death, in addition to his father, by a sister Donna Colasurdo, and a brother Paul Colasurdo. His funeral will be held with a Memorial Service, Monday, December 3, 2018 at 2 pm from Harman Funeral Homes & Crematory Inc. (East) 669 W. Butler Drive, Drums. Friends may call at the funeral home Monday afternoon from 1 pm until the time of the service. Interment will follow in Calvary Cemetery, Drums. In lieu of flowers, memorial donations can be made to the Hazleton Animal Shelter, PO Box 481, Hazleton, PA 18201. Online condolences can be entered and more information is available at www.harmanfuneral.com.